Cooking the garlic in the dressing gives this dish a great flavor, so full of garlic, but the flavor is not biting, it is mellow and perfect. 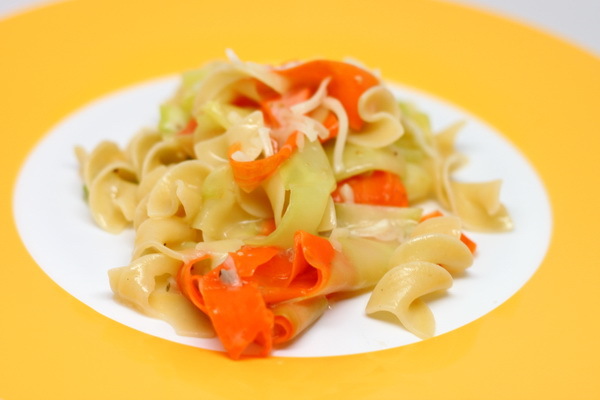 Peel zucchini and carrots into long ribbons using a vegetable peeler. 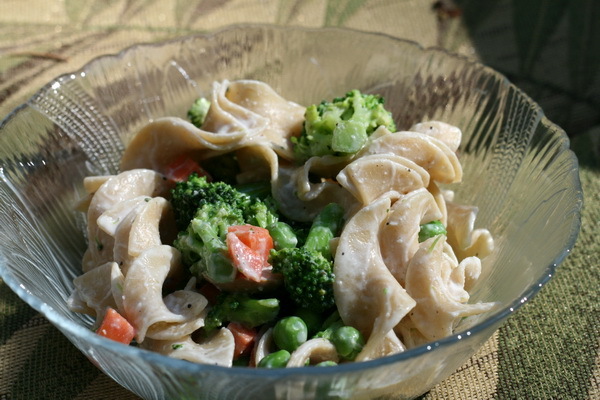 Cook noodles according to package instructions and add veggie ribbons to the boiling water the last minute. Drain and return to pot. Saute garlic and dressing 2 minutes and then pour over the noodles and veggies and sauté 2 minutes to heat through. Add salt and pepper. Sprinkle with cheese and serve. This is a great tasting asian dish that is so versatile – you can easily change up the veggies or the protein and end up with something quite different. Cook noodles according to package instructions. Cook sesame seeds over medium high heat 2 minutes or until golden and fragrant then set aside. 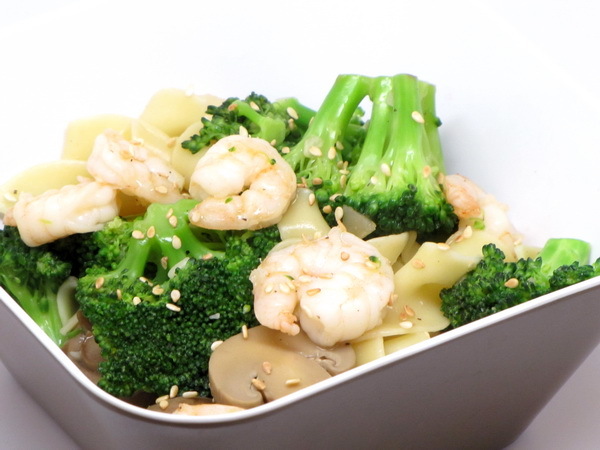 Heat oil in skillet and cook garlic 30 seconds then add broccoli, water chestnuts and mushrooms and cook 7 minutes or until broccoli is beginning to get tender. Add shrimp and cool 5 minutes or until shrimp is done. Combine broth, wine, soy and cornstarch and mix well then add to skillet and cook until thick and bubbly. Add in the cooked noodles. Sprinkle with seeds just before serving. 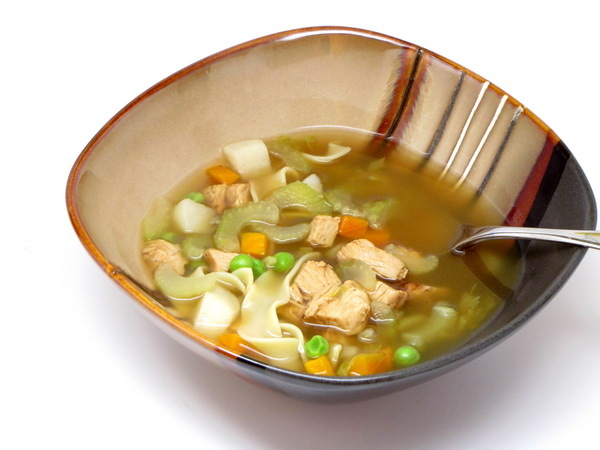 This is rich and savory and a perfect lunch soup for a cold winter day. 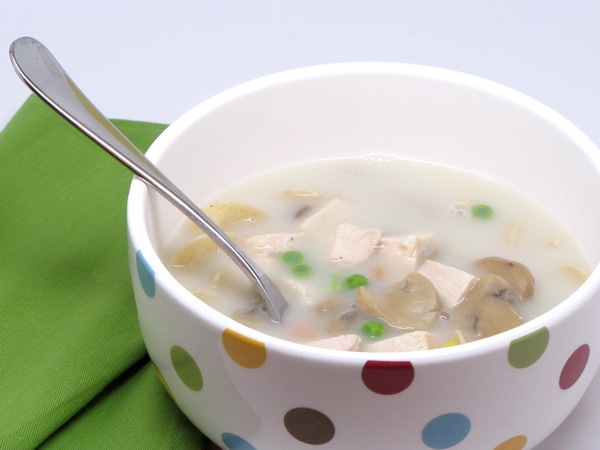 Combine water, soup, broth, chicken, mushrooms and juice and spices and bring to a boil. Add vegetables and bring back to a boil. Add noodles and cook 5 minutes or until tender. Lower to a simmer and add half and half and cook a few moments longer. Preheat oven to 350 degrees and spray a 13×9 pan with Pam. 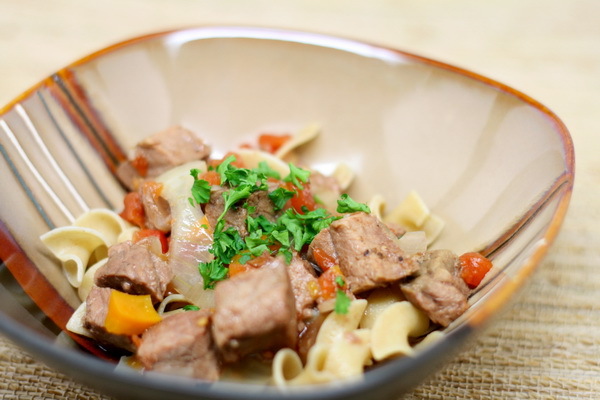 Cook meat in a skillet. Sprinkle with salt and pepper and cook until no longer pink, separating the pieces as it cooks. Drain liquid and fat from meat and set meat aside. In same skillet add mushrooms, onion and garlic and cook 3 minutes. Add wine and reduce heat and cook another 3-4 minutes then remove from heat and stir in soup, sour cream and mustard. Return beef to pan and mix well. 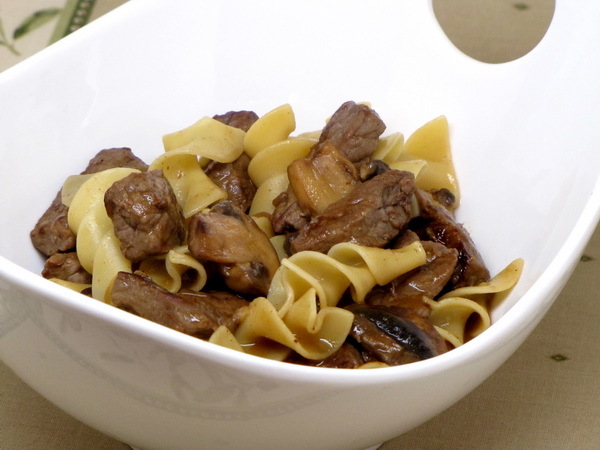 Put noodles in the baking dish and then pour beef over the noodles. Mix well. Bake uncovered 30 minutes. 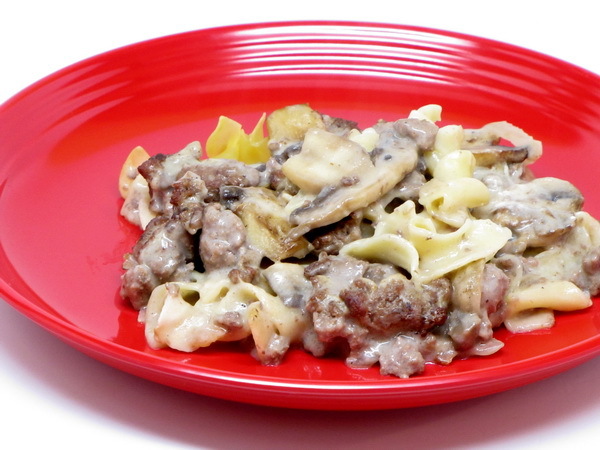 I have made other dishes like this that turn out to be a healthier Hamburger Helper (like my Turkey Stroganoff), but this one is THE one – it is a little moister than my other version, and the flavoring is just perfect. You definitely have to try this one out !! Preheat oven to 350 degrees. Cook turkey, mushrooms, onion and green pepper in a skillet until turkey is no longer pink then add onion salt, salt and pepper and mix well. 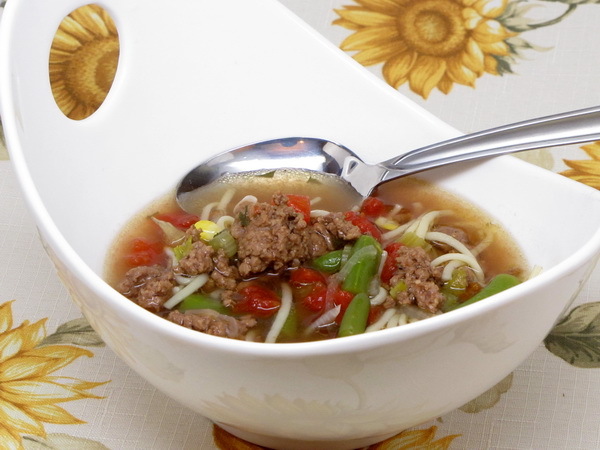 Reduce heat and simmer 15 minutes then place noodles in a 3 quart dish sprayed with Pam and top with the meat mix. Pour the gravy over. 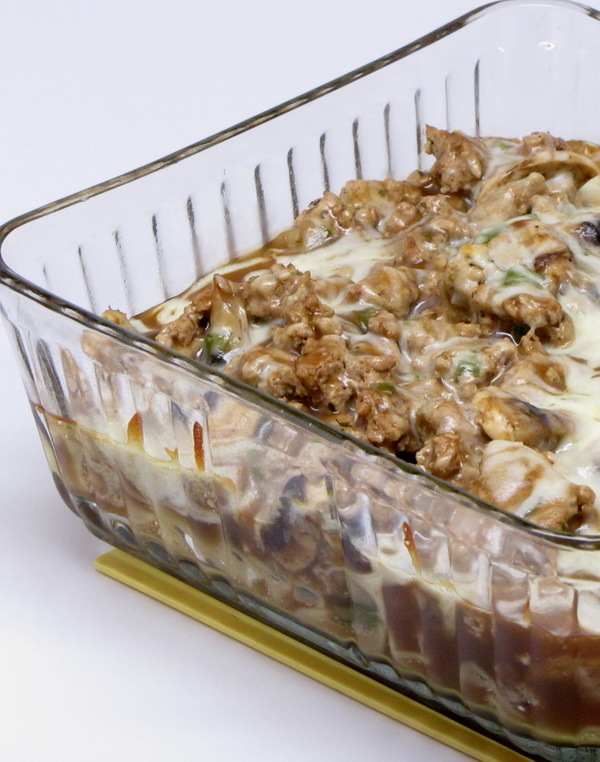 Sprinkle with cheese, cover and bake 20 minutes then uncover and bake another 15 minutes.